Everything you need between your headphones! On April 13th KUGR will be participating in our first Vinylthon! We will be playing only vinyl music for 24 hours from midnight to midnight and will feature special one hour shows from DJs and friends of the station. 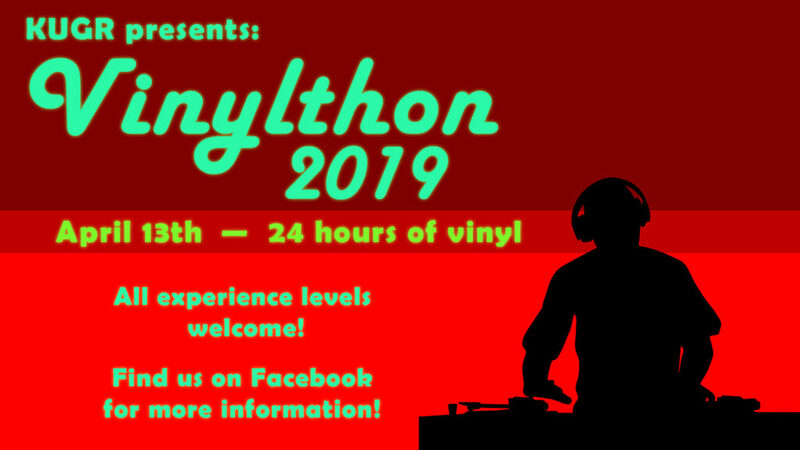 For more information or if you are interested in having your own hour show for Vinylthon email music@kugr.org and sign up below.